Lectors proclaim the word of God during Weekend, Weekday and Holy Day Masses. Volunteers must have good public speaking and reading skills. Registered Parishioners of Our Lady of Perpetual Help who have received the Sacraments of Initiation: Baptism, First Holy Communion and Confirmation or preparing for the Sacrament of Confirmation and living a sacramental life and in good standing with the Church are eligible to participate in this Ministry. 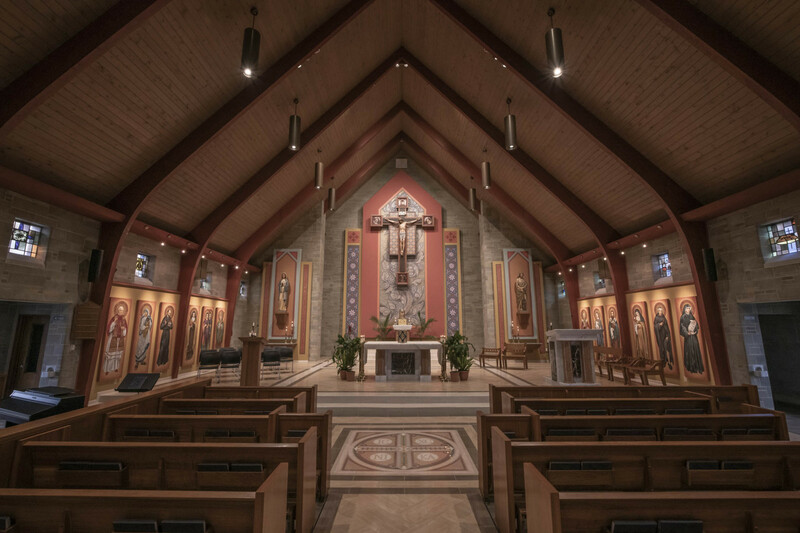 Each prospective Lector will complete two training sessions: 1) Lector Preparation and 2) Lector Practicum in which their public speaking skills will be evaluated relative to the acoustical requirements of Our Lady of Perpetual Help Church. Dress appropriately for the Sanctuary. Arrive in sacristy no later than 15 minutes before Mass is scheduled to begin to be sure everyone is there, and receive any last minute instructions. It is your responsibility to find a substitute if you cannot attend your scheduled Mass. Walk back with Father and the servers to be in the procession. During procession walk two by two with hands in prayerful position. When you reach predella, walk out to each side of Father, wait for Father to bow and bow with him. You will then take your seat with the congregation. At the Lamb of God all Extraordinary Ministers meet at the edge of the predella, bow together and proceed to platform. One minister, places ciborium on Altar. DO NOT remove lid, Father will open it. Stand behind the Altar and close enough to Father that all he has to do is turn around and each minister can immediately receive. (There is no need to step back after receiving…stay forward.) When Father genuflects during this prayer, ministers should bow. After Father has distributed the Body of Christ he will then distribute the Precious Blood of Christ. The minister standing beside (the minister without a cup) turns and communicates the cup to the other minister. After Father distributes the precious blood, he will then turn and hand the ciborium of Hosts to the minister that is not holding a cup. If Father is serving the Altar Servers, the minister of the Host should proceed to serve the Musicians or vice versa. One cup bearer on each side should remain back to communicate the altar servers/musicians. The other ministers should proceed forward to be ready to give communion to the congregation. Cup bearers should allow plenty of space between themselves and the ministers of the Host/Father to prevent congestion. If Father goes to the Tabernacle to get more Hosts, the Host minister should communicate both lines until Father returns. When the Precious Blood has been consumed, you may return the cup to the Altar and remain there. After Communion, place cups on the St. Mary side of the Altar and hold onto purificators. Father or server will pour water into the cups. After Father or server pours water into the cups, each minister of the cup immediately removes cups. If one minister is free, Father will hand them the ciborium to place back in Tabernacle. Host minister, walk off platform and wait behind St. Mary’s side niche, hidden. Altar server will bring Father’s chalice over and hand it to you. Place all purificators in sacrarium (the side of the sink that closes) with lid shut. Place cups in the open sink. Do not clean cups at this time. Return to the congregation through the side entries past the restrooms. Do NOT walk out onto predella. All Ministers should be in the congregation for the Communion prayer. One or two Minister return to the sacristy to finish purifying the vessels.